It’s so great catching up with my friend/singer/songwriter/actor Migguel Anggelo. 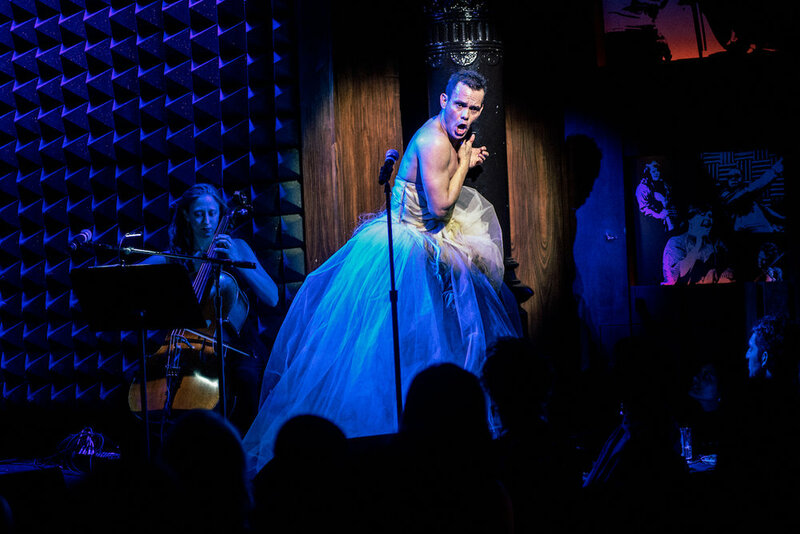 This time around Migguel & I discuss his return to Joe’s Pub with his new show, LatinXoxo - An Unrequited Serenata, an emotional exploration of Latin and Queer identity that embarks on a transformative romantic journey free of gender-roles, guided by reimagined Latin icons of love. The thing I love most about Migguel is his raw honesty and the way he challenges his audiences to think about social topics masked by his talent and pure entertainment. LatinXoxo - An Unrequited Serenata will play Joe’s Pub on January 31 & February 1 at 7pm (425 Lafayette Street). Click here for tickets! The January 31st performance of LatinXoxo - An Unrequited Serenata is proudly sponsored by Showtime, as part of The Showtime Salon Series. The Showtime Salon Series is a yearlong, curated series of monthly performances (at Joe's Pub) that celebrate LGBTQ+ communities and their creative expressions. 1. This winter you are returning to your second NY home, Joe's Pub, with a brand new show called LatinXoxo - An Unrequited Serenata, which is an emotional exploration of Latin and Queer identity that embarks on a transformative romantic journey free of gender-roles, guided by reimagined Latin icons of love. When did you come up with the concept for this show? We came up with the concept of the show last summer, and it’s been a wonderful journey working with my collaborators. I am working with a new director and writer on this one and deepening my relationship with musical director, arranger and brother, Jaime Lozano. J. Julian Christopher is writing the book and Srđa Vasiljević is our amazing director who has been helping us develop the project. We can’t wait to share the work. 2. What are you looking forward to most about presenting this show? A few things, actually! This is an exciting show for me because it’s not a traditional cabaret show. I’m presenting a series of characters that are inside of me, and the experience is more like a play than a concert. With these characters, I am channeling some of the stereotypes of Latino passion – male and female. It’s going to be great fun . . . and interesting too! At the core of the piece, though, is the music. I basically grew up listing to boleros (love songs) because my father used to sing them to my mother every day. Boleros essentially make up the Great Latin American Songbook. They are filled with poetry and passion in a way that we don’t hear so often in music today. I’m excited to share this wonderful music which is so much part of who I am. 3. As a Latin-Gay yourself, what has been the hardest part about identifying with both cultures? For, me the hardest part of identifying with both cultures is LANGUAGE. When I came to the United States, I did not speak English at all, so it was tough. I’m much freer in Spanish, but music bypasses the limitations of language, and love songs bypass the limitations of language, especially. It’s cheesy to say, but the sentiments are universal, right?! Of course, I speak English now (with an accent! ), but even when my English was much rougher, people could understand me through music. In LatinXoxo, we are mixing Spanish and English quite a bit. I’m excited for that. I think we have done it in inventive ways. 4. How do you feel this show will help break down barriers of the preconceived notions we have of both cultures? Inside each of us, we have male and female traits. We all have our pious sides. We have our sensual and seductive sides. We sometimes flex our macho bravado, but we are also painfully shy (at times) too. We all get hurt, but we’ve all hurt others as well – These dualities live inside of each of us – whether we are from Latin America or the United states. 5. How have you, in your life, broken down these walls? I let it all hang out! I am never afraid to say or show what I am feeling even though I sometimes make people a little uncomfortable by my honesty. 6. What was the hardest stereotype for your to break? Often people think that when someone doesn’t speak a language perfectly it’s because they are dumb or ignorant. I may not speak English perfectly, but that’s not because I’m dumb. It’s because I speak multiple languages. This has been an uphill battle for me, but one of the reasons why I love Joe’s Pub so much is that they don’t care. They understand that I and my talents don’t fit neatly into a category or a box tied with a ribbon. They accept me for who I am. That means a lot. 7. This narrative is using classic Spanish love songs, their contemporary pop counterparts, and original compositions to help the story flow. What was the first song in each category did you know had to be in the show? 8. While putting this show together, was there a famous person you looked to for guidance or inspiration to draw from? The Virgin Mary. Migguel Anggelo is breaking barriers on the American stage, creating unique works that are reflective of the multicultural, multi-lingual, changing demographics of our country and times. 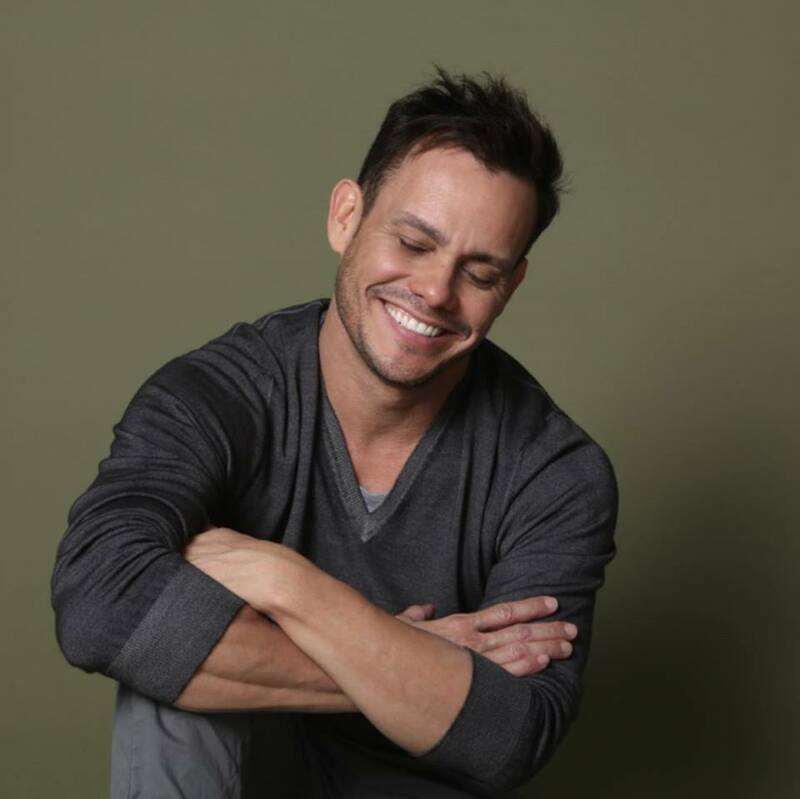 The Brooklyn based, Venezuelan born artist began his career at 13 as Pinocchio in a South American touring production of the Broadway musical. He trained for a dozen years in classical ballet, studied voice at the Conservatory of Music in Cologne, Germany, has written music throughout all of his journeys as an immigrant in several countries, and has released two albums, the most recent being La Casa Azul. In addition to performing on many of the world’s greatest stages including Teatro Teresa Careño in Caracas, Venezuela; Teatro Insurgentes in Mexico City; Teatro Lola Membrives and Teatro Gran Rex in Buenos Aires, Argentina; and The New World Center in Miami, Florida, Migguel performs regularly at Joe’s Pub at The Public Theater in New York City. There he has performed I, Inmigrante, Between Dreams, Another Son of Venezuela, and his most recent show, So Close: Love & Hate, which is a rich song cycle that includes an array of brand new compositions punctuated by Latin classics, American standards, Broadway, opera, and Björk. Migguel will be returning the show to Joe’s Pub for two nights this spring to pour his lush voice and enormous soul into this intimate new show addressing divisiveness, humanity and hope. Migguel has been very fortunate to develop work at various residencies, including  Another Son of Venezuela  which Migguel developed at the Kimmel Center in Philadelphia, and  The Suitcase Project, which was developed in part during a BRIClab Residency at BRIC (Brooklyn, NY). The Suitcase Project explores issues of Hispanic immigration and assimilation into the United States of today through original music, characters and theatrical storytelling, chronicling what we carry and discard in the quest to follow our dreams. In late 2017, he explored what it meant to be a Latino member of the LGBTQ community in the sold-out one-man show, Welcome to La Misa, Baby. Swirling through a gallery of characters, Migguel responded to the Pulse Nightclub shooting by introducing us to the diverse array of multi-dimensional characters found in a gay nightclub, and showing us how sacred such a place can be. In February 2018, Migguel Anggelo returned to Russia as a cultural attaché under the auspices of the U.S. Department of State to perform The Songbooks of the Americas, a mash up/juxtaposition of the American and Latin American Songbook. Accompanied by Broadway’s Grace McLean and the leading chamber orchestras in Russia, The Songbooks of the Americas was presented at top concert halls from Moscow to Saint Petersburg; including Tchaikovsky Concert Hall and Spaso House.